Today is a special day! December 5 - The International Volunteer Day (IVD). 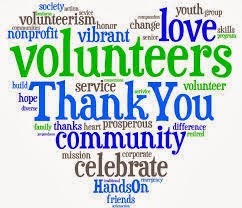 Every year, volunteers are specially celebrated around the world this day, to recognize and appreciate their efforts and contributions towards global development. Today also provides the platform for promoting different volunteering initiatives as well as advocating for new ones or support for existing volunteer programmes. 2013 is Young * Global * Active. The IVD 2013 is a global celebration of young people acting as agents of change in their communities. Are you currently a volunteer? Have you at some point volunteered before? If it is a yes, then Development Synergy is saying, "Weldone, we salute you!". For your selfless efforts towards community development and for your contributions sustainable development. If you are yet to experience this life time experience of volunteering, you still have many chances. 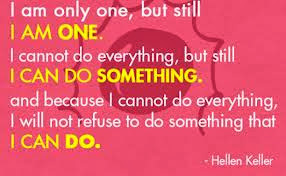 You could start with volunteering with Voluntary Service Overseas (VSO). You may also want to consider UNV. According to Allen Klein, "research has shown that people who volunteer often live longer". So, if you want to live longer...you know what to do :-). For more information on IVD 2013, see UN's International Volunteers Day. Happy International Volunteer Day!